St. Francis Xavier Cathedral is a Roman Catholic cathedral in Grodno, Belarus. Originally a Jesuit church, it became a cathedral in 1991, when the new diocese of Grodno was erected. The construction of the church started in 1687. The completed building in Baroque style was consecrated in 1705 to St. Francis Xavier. The monastery was dissolved in 1773 and the church became a parish one. The church survived World War II with no serious damage. In 1960 it was officially closed for a public religious services (for 27 years). The communist authorities tried to convert the building into a museum or a concert hall. Despite this the people attended the church every Sunday for a common player, songs and rosary. The religious services were restored in 1987. 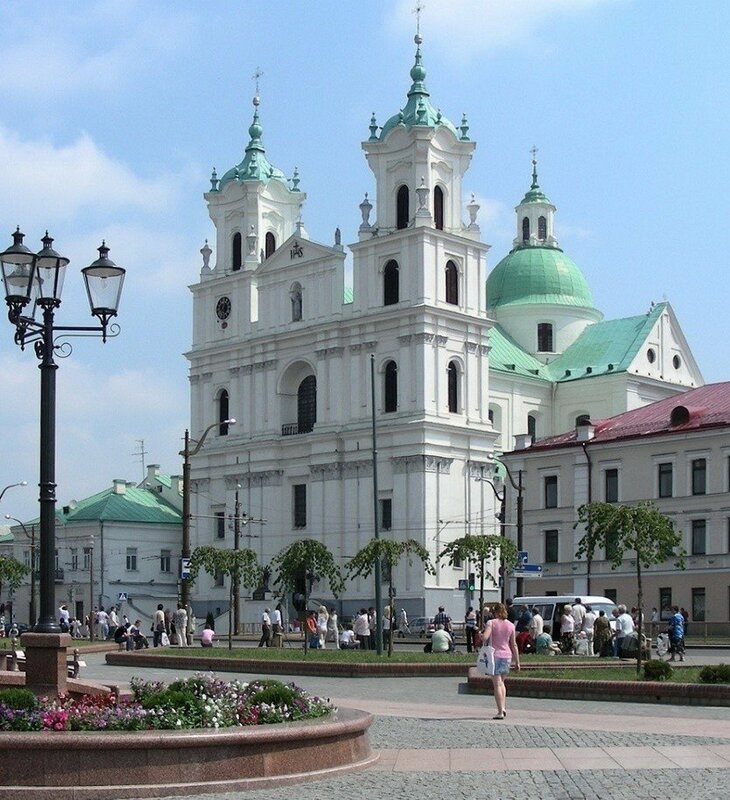 In 1990 the church was granted the title of minor basilica, and a year later it became a cathedral for a diocese of Grodno.